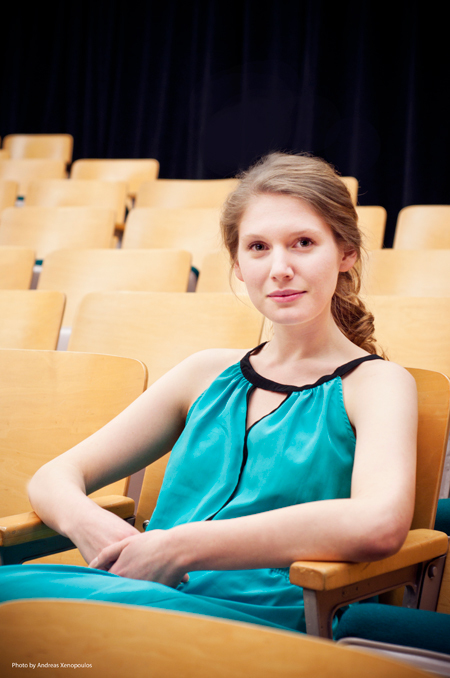 Composer Rachel Whelan has been breaking rules and demanding attention with her varied composition styles. Her music has been performed by Omaha Symphony members, Orlando Cela, flusSion, SBO Wind Ensemble, KC Vitas Choir, and she has opened for Susan Werner at the Johnny Carson Theatre in Lincoln, Nebraska. Whelan demonstrates her versatile compositional abilities, ranging with songwriting, film music, chamber works, and her primary interest, music for wind band. Her film compositions have primarily been direct collaborations with Nicholas Snell and students at the University of Arizona. She has also collaborated with film students at the University of Nebraska-Lincoln, and was Head Production Assistant for the UNL Feature Film �DIGS� (2013). In 2016, she received her MMus in Music Composition from the University of South Carolina, studying composition and running the New Voices student composer concerts and the Southern Exposure New Music Series (under the direction of Michael Harley of Alarm Will Sound). Her dedication to the performance of music by living composers is further evident in her work with Treefalls: New Music Series (501c3) in Spartanburg, SC, where she is assistant director. A typical optimist, she's frequently inspired by the upsides of life: nature reserves, beaches, exceptional food, and talented, spirited friends. When not composing, she can be found in these activities. Her teachers in composition include Mandy Fang, John Fitz Rogers, Jesse Jones, and Paul Snell.